This program can no longer be downloaded. 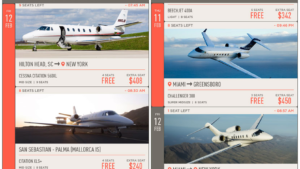 You can look for alternatives in Travel Apps. Alfred is a location-based app that suggests places to eat and drink based off of questions it asks about user preferences. The app is very simple. 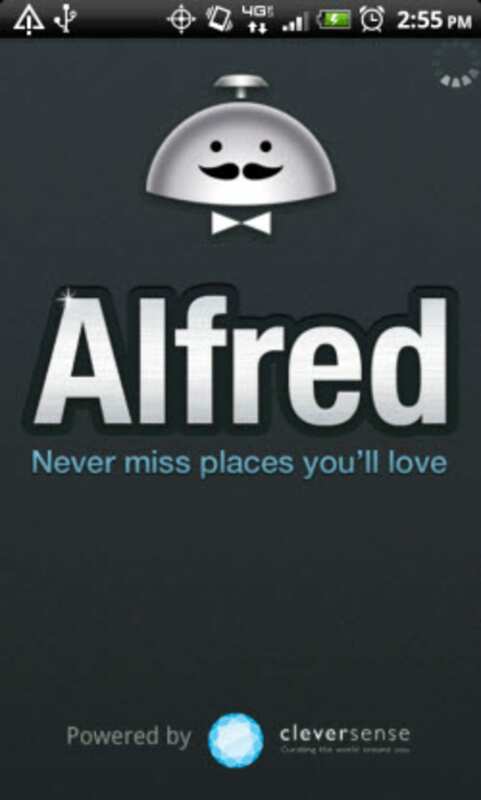 Users answer questions from Alfred about preferences to eat and enjoy nights out. 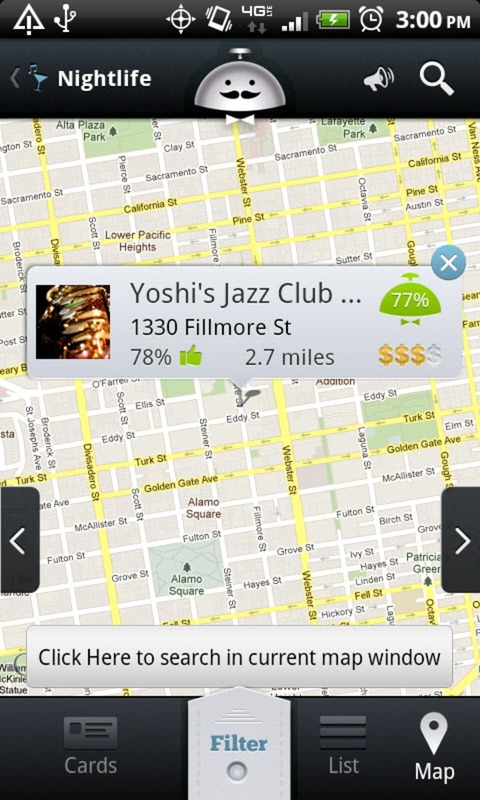 As it collates the information, Alfred suggests places depending on the location of the user. Alfred does require some initial setup with the first set of questions. 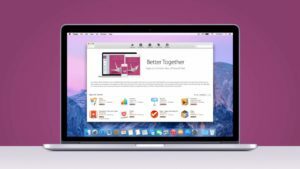 The first set of suggestions is close to the user preferences, but they are not as focused and rely on general preferences. 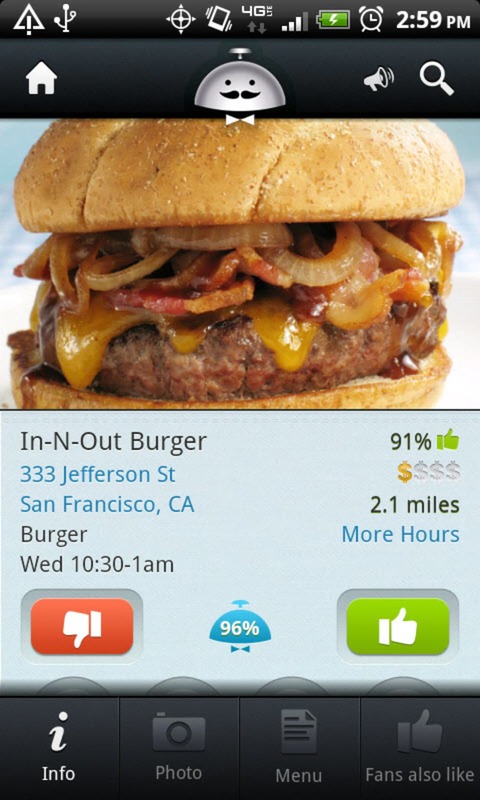 As users continue to answer questions, the app becomes much more specific and precise, suggesting excellent locations based on what type of food is desired. Alfred also includes overall filters that specify suggestions for any circumstance. 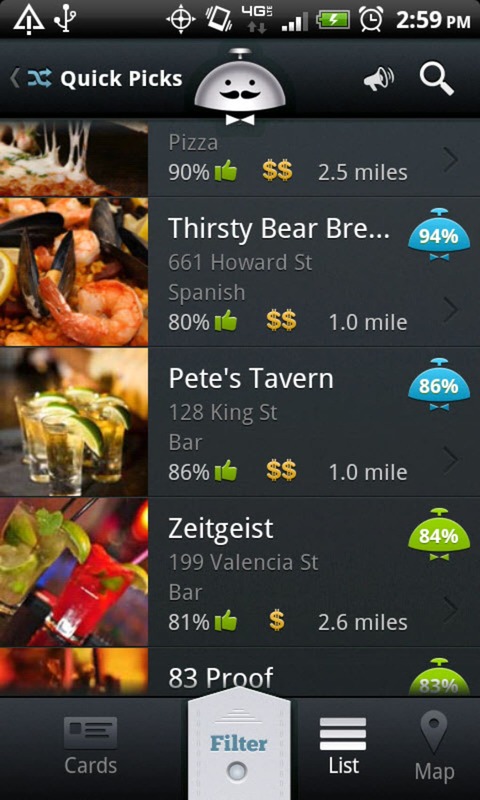 Beyond food preferences, Alfred can also filter by requests like free Wi-Fi, dietary restrictions, and price range. 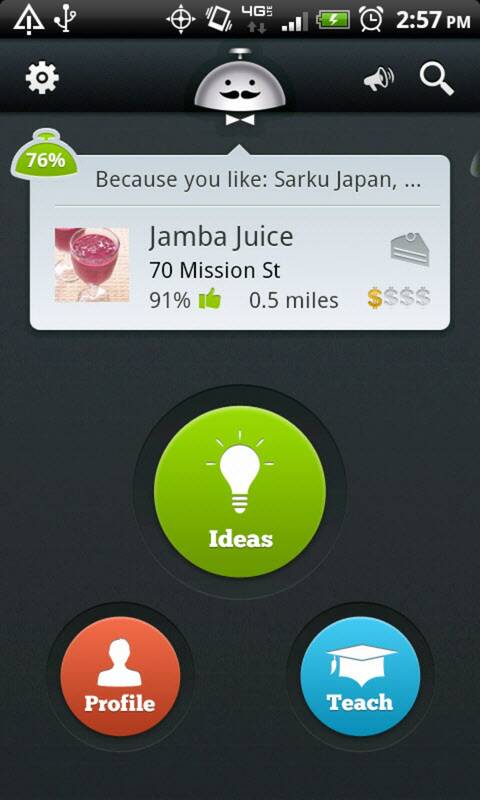 The app continues to improve the more it is used and that relies on the amount of questions the user answers. 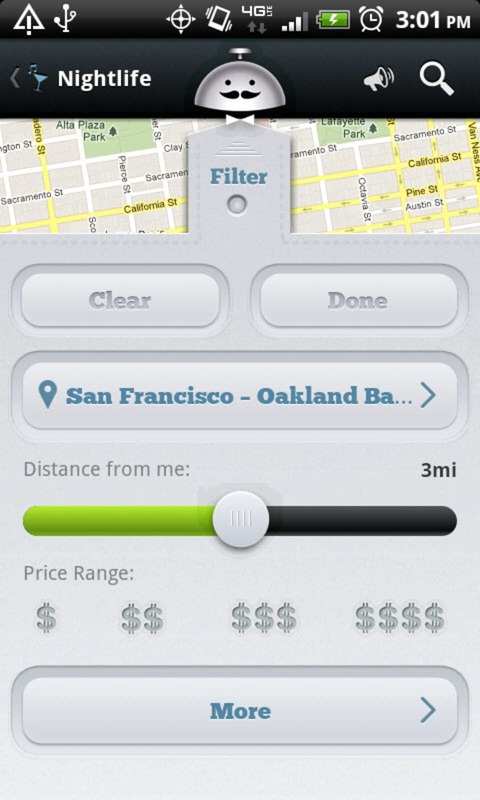 Alfred also allows users to connect through Facebook and will compare preferences of friends who also use the application. 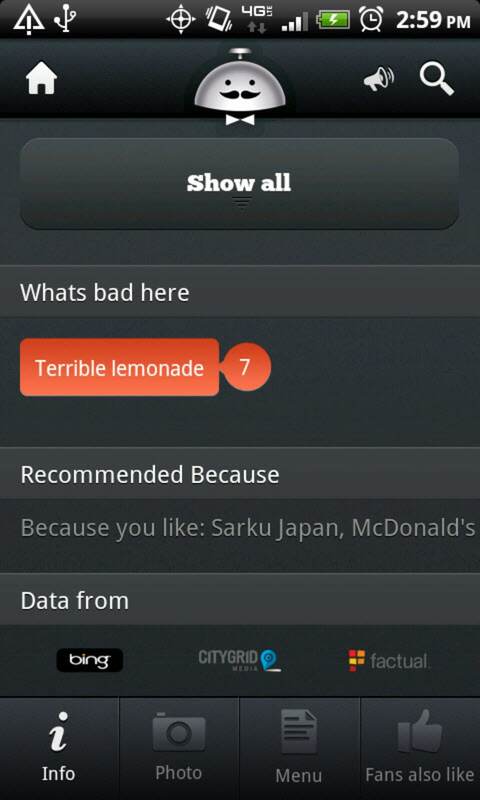 Alfred is a great tool for finding food choices that fit personal preference. What do you think about Alfred? Do you recommend it? Why?